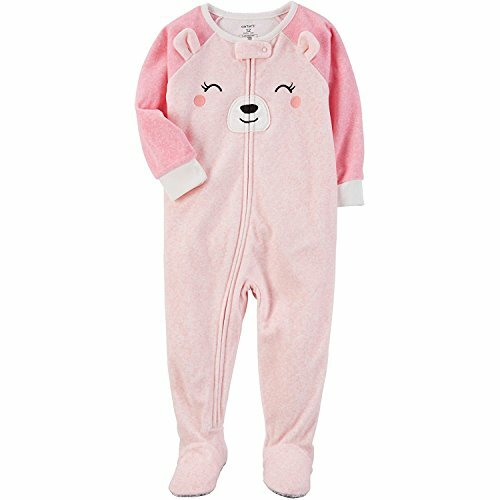 Crafted in snuggly fleece with a cute little bear, this 1-piece takes her from nap time to play time in no time! Zip-up design makes for quick changes and easy dressing. Chemically treated? No way! Carter's polyester is safe and flame resistant... Phew!